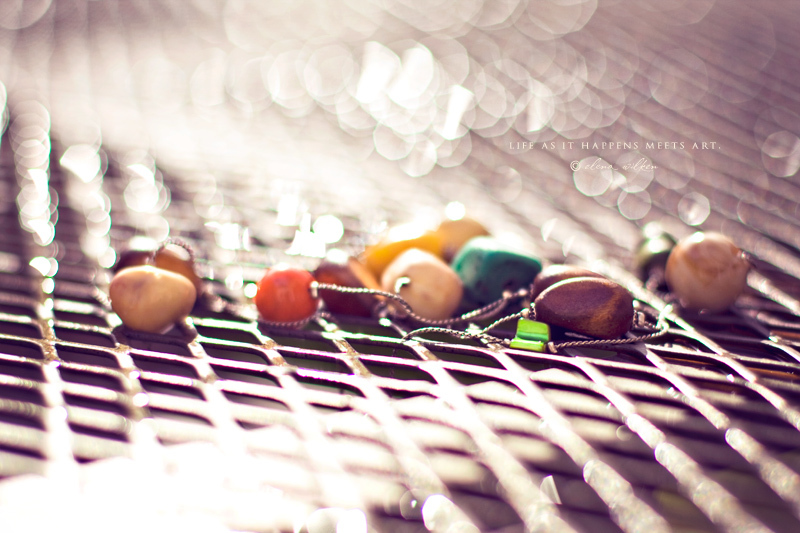 ... a strand of beads on our patio table, after a heavy shower yesterday afternoon. lots of rain and sunshine combos this past week. the sky just can't make up its mind.